CUBA STANDARD — The same day President Donald Trump was thanking the Communist leaders of China for a “beautiful welcome” in Beijing, his administration published tightened Cuba sanctions that prohibit any business with 180 armed forces-controlled entities (See list page 9) and greatly reduce individual travel. The amendments to the Cuban Assets Control Regulations (CACR) and Export Administration Regulations (EAR), effective Nov. 9, follow up on a Trump appearance in Miami in June during which, surrounded by anti-Castro figures such as Florida Sen. Marco Rubio, he declared that “with God’s help, a free Cuba is what we will soon achieve”. “Wrong steps, at the wrong time, for the wrong reasons, just to please the wrong guys,” tweeted Johana Tablada, a Cuban foreign ministry official, adding that the measures will “hurt both people”. 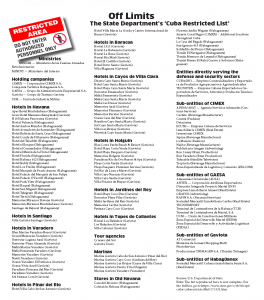 While the new sanctions leave most of the Obama administration’s openings intact and even create new ones (see sidebar below), they add red tape and liability to business transactions, create confusion, probably shrink U.S. travel, and send a message to the rest of the world that U.S.-Cuba normalization should not be expected under Trump. “But the worst is that it will discourage investments from other countries,” Vidal says. The day after the new sanctions were announced, ratings agency Moody’s lowered the outlook of Cuban debt from “positive” to “stable”, citing the end of U.S.-Cuba normalization (See article on page 2). Not surprisingly, U.S. normalization advocates in the business community had only scorn for the measures, intended to “channel economic activity away from the Cuban military” and help the private sector, according to Treasury Secretary Steven Mnuchin. 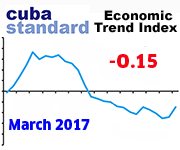 Indeed, it’s probably Cuba’s ailing private sector that will take the brunt of the Trump administration’s punch on its chin. 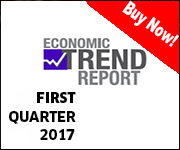 In what is expected to lead to a major drop in business for the owners of private bed-and-breakfasts, the new OFAC regulations eliminate the individual “people-to-people” educational travel option, requiring travelers to be under the auspices of an organization, be accompanied by a representative of that organization, and maintain a full-time schedule of educational exchange activities. 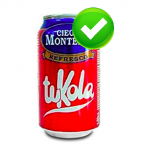 This essentially forces U.S. visitors into group travel, which casa particular owners typically are unable to accommodate. More than 346,000 U.S. travelers visited the island in the first half of this year, up nearly 150% from last year, and — according to surveys — the majority stayed at privately owned bed-and-breakfasts and private apartments. About 35% of Airbnb guests in Cuba are U.S. citizens, according to the San Francisco-based company. To be sure, the new sanctions include a provision that expands travel under the “Support for the Cuban people” category, possibly salvaging solo travel (see sidebar on previous page and article on page 13). The Trump administration’s stop to normalization actually triggered an unprecedented level of corporate lobbying. According to Washington-based policy information service The Hill, the provision is the outcome of lobbying efforts by AirBnb, which spent $250,000 on an in-house lobbying team over six months, to make sure its fast-growing Cuba business won’t suffer irreparable damage. Most U.S. travel businesses take an “it-could-have-been-worse” attitude. 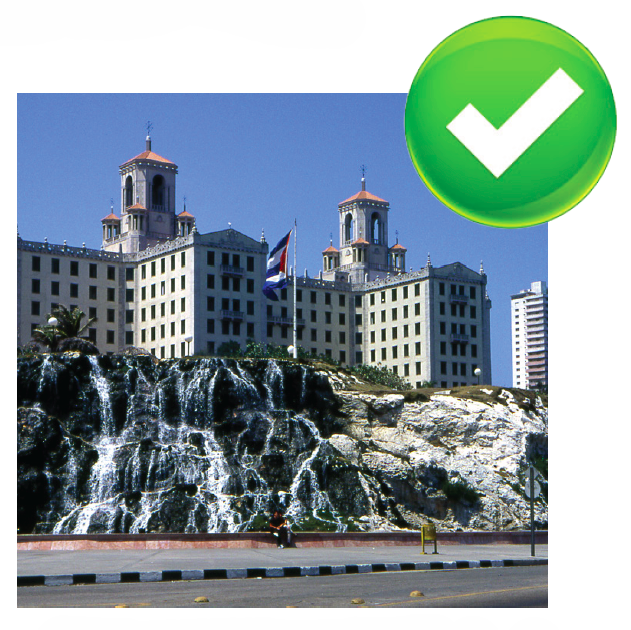 “We feel relieved that the new regulations don’t include any restrictions beyond those foreseen,” said a statement by the American Tour Operators to Cuba (ATOC), a recently started group with 53 member businesses. 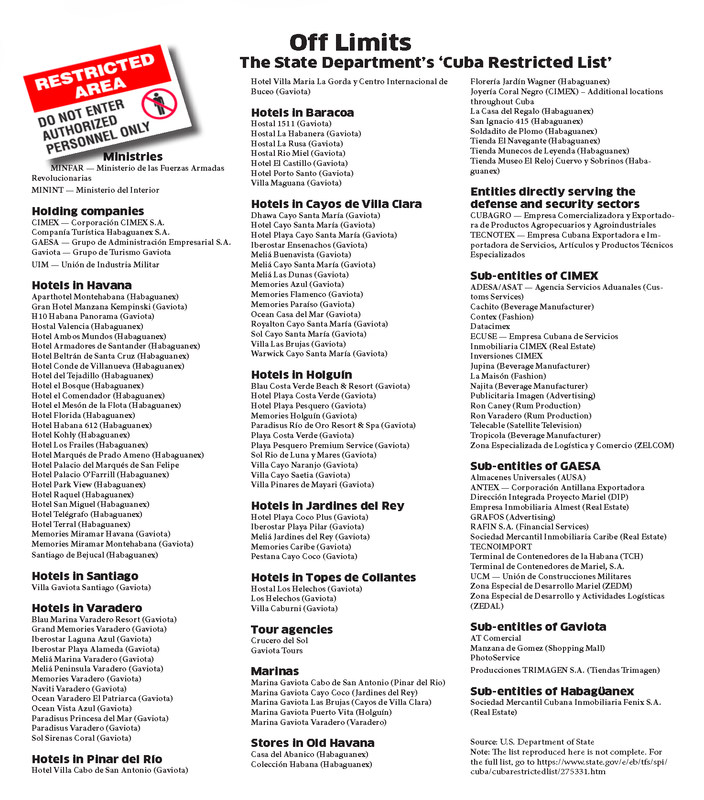 Sen. Rubio apparently failed to have state hotel companies Cubanacán and Gran Caribe included in the no-go list, blaming State Department “bureaucrats” for not including them. Norwegian Cruise Line Holdings President Frank Del Rio said in an earnings conference call that the cruise industry might actually benefit. Simultaneously to the new regulations, the U.S. Department of State published a list of 180 entities it says are “under the control of, or acting for or on behalf of” Cuba’s armed forces, as well as intelligence and security services. U.S. businesses and individuals must abstain from “direct financial transactions” with entities on the “Cuba Restricted List”, effective immediately, according to the amended regulations. 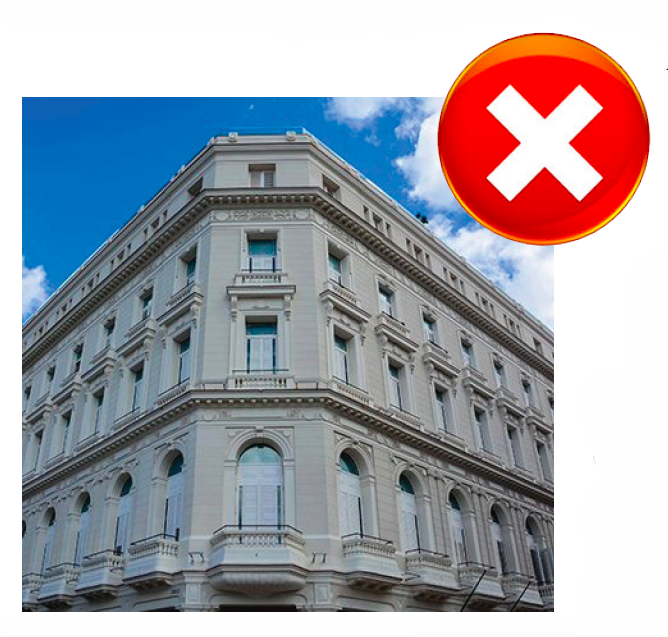 The no-go list includes some of the most popular hotels in Havana and practically all boutique hotels in Old Havana, but not the two Havana properties managed by U.S. operator Marriott that are owned by an armed-forces affiliated state company. 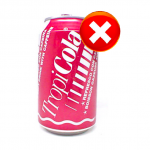 The list created confusion among U.S. travelers and expats, as the job of distinguishing between off-limits and acceptable products and businesses is confusing. 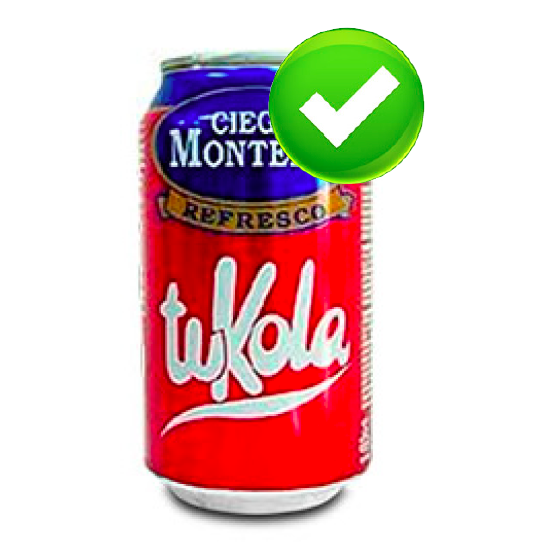 The list includes two juice and soft drink brands, and Caney and Varadero rum, but not, for example, Río Zaza juice or Havana Club rum. 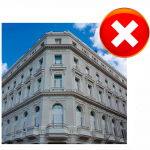 The off-limit list explicitly mentions the Jardín Wagner flower shop and the new Manzana de Gómez shopping mall in Old Havana, but not CIMEX-controlled properties such as the Carlos III shopping mall in Habana Vieja. But even doing business with non-listed subsidiaries of listed entities seems to be possible. Muse also points out that liability is loosely defined, requiring “specific intent to violate the list” or “a willful failure to even look at the list”. In the biggest frustration for U.S. businesses, however, the list makes clear that all financial transactions with the Mariel Special Development Zone, and even the container terminals at the ports of Mariel and Havana, are now prohibited. The NTFC’s Colvin called the new restrictions on U.S. businesses “counterproductive”. “In particular, restricting American companies from participating in the special Mariel economic zone prevents Americans from engaging in a fledgling economic experiment by the Cuban government that could potentially benefit Cuban workers and the Cuban people,” he said. However, Rimco, the Puerto Rican Caterpillar dealership that signed a last-minute agreement to open shop at the Mariel Special Development Zone a week before the Trump administration published its tightened sanctions (See article page 15), will apparently be grandfathered-in. The new sanctions will not apply to agreements between U.S. companies and armed forces-controlled entities existing as of Nov. 9, according to an FAQ document published by OFAC. 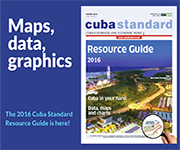 Rimco officials did not respond to questions by Cuba Standard. The FAQ document also seems to specifically address details of a recently signed John Deere & Co. agreement to sell hundreds of farm tractors to a Cuban state entity. In the document, OFAC confirms that companies such as John Deere can import spare parts and provide financing. The U.S. Chamber of Commerce, which rejected Trump’s June positioning in no uncertain terms, issued a more conciliatory statement in response to the regulations. The Airbnb loophole: Big enough to salvage individual travel? The new sanctions include an exception that could salvage solo travel, thus benefiting casa particular owners — as well as U.S. airlines and Airbnb. 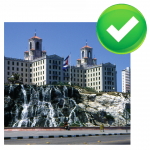 A new provision allows individual travelers to stay in private homes or bed-and-breakfasts, if they visit the island under the “Support for the Cuban People” category. 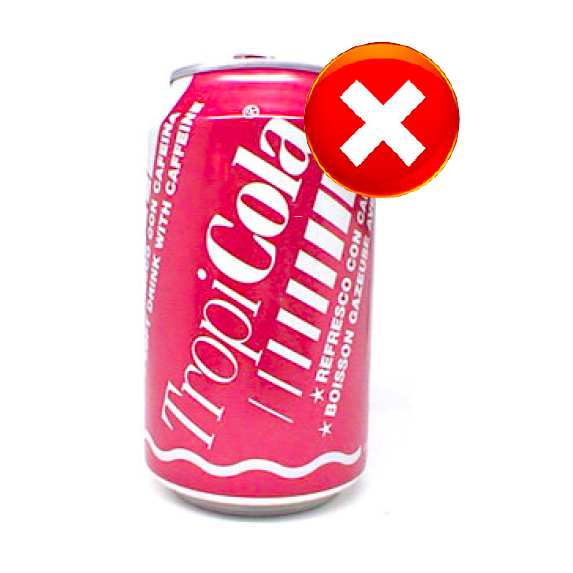 And, according to an official FAQ list, the U.S. Treasury Department now considers “renting a room in a private Cuban residence (casa particular), eating at privately owned Cuban restaurants (paladares), and shopping at privately owned stores run by self-employed Cubans (cuentapropistas)” as acts that “support the Cuban people”. Whether the measure will open enough of a loophole to sustain the recent boom by U.S. individual travelers remains to be seen, because the U.S. sanctions enforcers also expect “humanitarian” travelers — beyond staying at a casa particular — to engage in a full-time schedule of “Support for the Cuban People” activities. According to Washington policy information service The Hill, the provision is the outcome of Airbnb’s lobbying efforts. The San Francisco-based company spent $250,000 on an in-house lobbying team over six months to make sure its fast-growing Cuba business won’t suffer irreparable damage. This entry was posted on Wednesday, November 8th, 2017 at 8:34 pm	and is filed under Top Stories. You can follow any responses to this entry through the RSS 2.0 feed. Both comments and pings are currently closed.